Most of us take good care of our teeth and gums to attain brighter pearly whites and have that flawless, tantalising smile. But did you know that by taking care of your teeth you can maintain your overall health as well? So how does going to a dentist in Epping or anywhere in Sydney keep your teeth, gums and mouth healthier and maintain your overall health at the same time? The condition of your gums and teeth offers clues about your overall health. It serves as a warning sign for diseases, thereby helping you prevent their onset. Some conditions and diseases that are linked to oral health problems include: heart conditions, diabetes, osteoporosis and many more. Today, let’s focus on how your oral health can affect the health of your heart. Although there’s still no conclusive evidence that periodontitis or gum disease can cause heart attack or stroke, the mouth can be a good warning sign that indicates when something is wrong with your body, or more specifically (in this case) your heart and blood vessels. 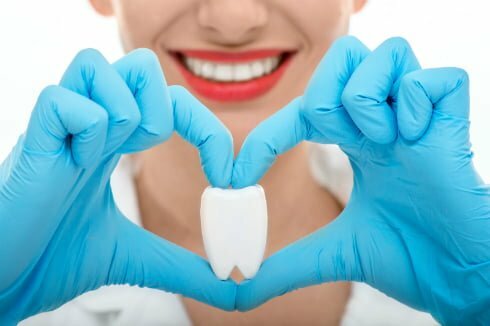 Some researchers have revealed that gum disease may also contribute to heart conditions because bacteria from the infected gums may enter the bloodstream and attach themselves to the blood vessels, increasing clot formation. This can decrease blood flow to the heart, causing an elevation in blood pressure and increasing the risk of a heart attack. It can also cause endocarditis, an infection of the inner lining of the heart due to the bacteria or germs that spread through the bloodstream, and attach themselves to the damaged areas of the heart valves and tissues. Oral health problems may affect your general health. Heart conditions like endocarditis is just one of the many health problems that are linked with oral health. In our next article, we will shift our focus on other conditions or diseases with potential connections to oral health. It’s crucial to maintain good oral hygiene not just to keep your teeth and gums healthy, but also to improve your overall health. So make sure to brush and floss daily, and most of all, visit your dentist for regular check-ups. At Marsfield Dental Care, we can help you achieve your overall health goals. As soon as an oral health problem arises, contact us immediately. We provide safe and top quality dental services, from teeth whitening and tooth extraction, to more complex procedures like root canal. Our team can deliver the best oral health care for the whole family. Schedule an appointment with us today.